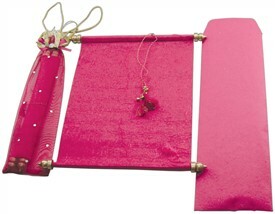 S484, Pink Color, Scroll Invitations, Birthday Invitations, Jewish Invitations, Cinderella Wedding. 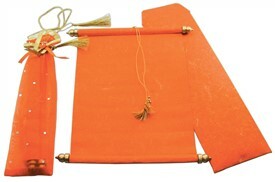 Yes another beautiful concept of scroll in designer pouch. 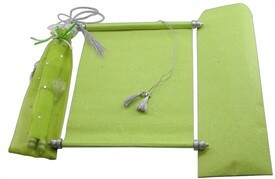 This fine net pouch has polka dots pasted all-over with bow to close on top part. 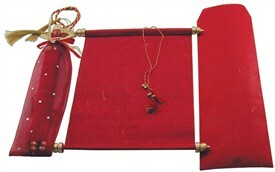 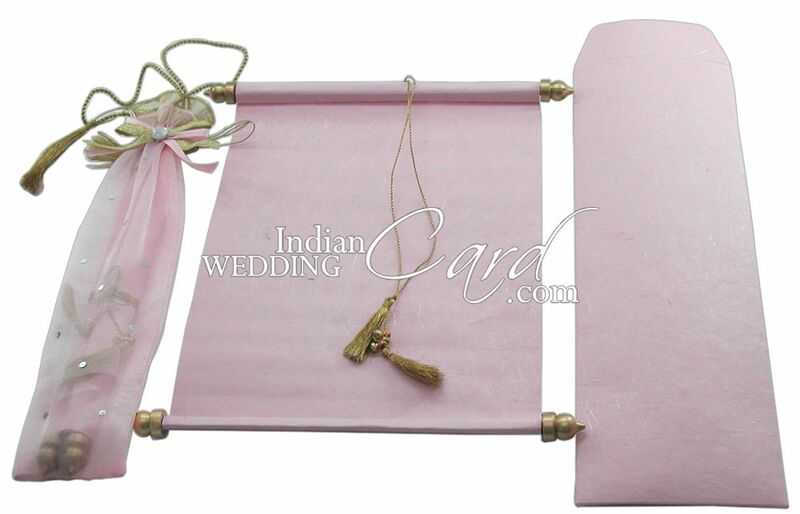 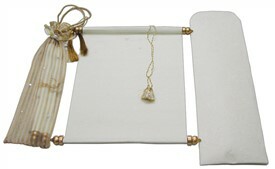 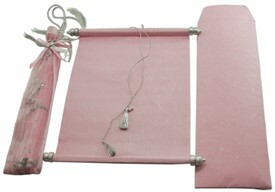 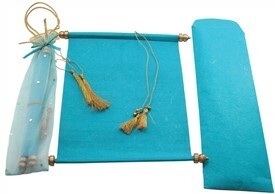 The scroll is of handmade paper with matching mailing envelope with golden finish.